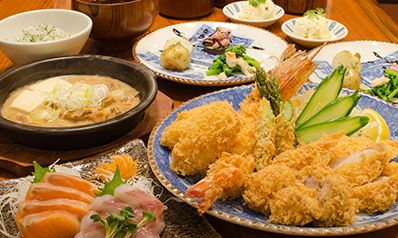 We will introduce all Katsukichi and Bodaiju restaurant menus. Click below to see each one. 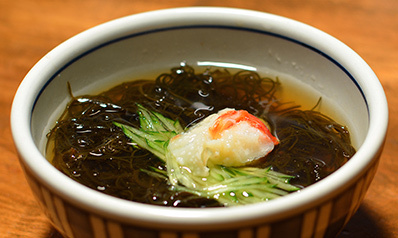 Click to see the Katsukichi restaurant menus (grand menus). 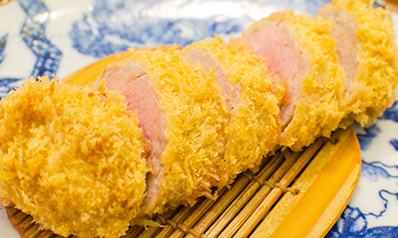 You’ll find dishes like our Brand-name Pork Cutlet Combo, Deep-fried Prawn Combo, Wagyu (Japanese Beef) Hamburger Combo and others. Please enjoy mid-day meals that reflect each restaurant’s ingenuity, with careful attention to lunch-only menus. In addition to combos and lunches, you can enjoy a variety of à-la-carte dishes, one at a time, or combined to make an original meal. A-la-carte dishes also make delicious additions to standard meals or tidbits for alcoholic drinks. Any of our restaurants can be used for parties and banquets. 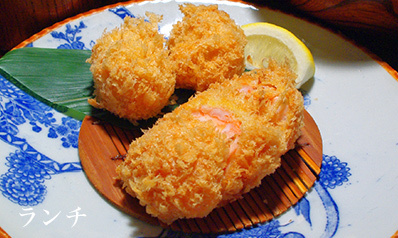 We offer various kinds of party and course dishes, which enable you to enjoy seasonal foods. Timely reservations are appreciated. 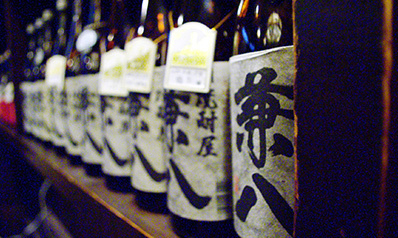 At Katsukichi, you can enjoy extremely tasty draft beer, carefully selected, authentic shochu and local sake. Please enjoy them with our seasonal dishes. 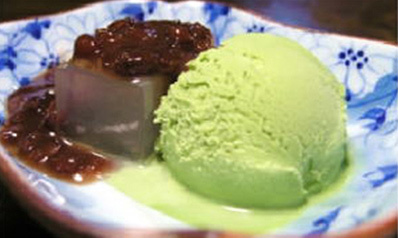 Please savor one of our desserts after the meal, such as the ever-popular Arrowroot-starch Dumplings and Ice Cream.